Besides being someone who watches the same movies over and over again I also purchase ingredients in excess, though I’ve been dealing with that a lot better lately (since the inventory decision). But when I saw some really good Argentinean dulce de leche for a great price at the supermarket I could not resist: I brought home three (very large) jars. After making the dulce de leche cake several times I still had some ddl left and it became the filling for these muffins, the same linzer muffins from the amazing Gourmet Today . Preheat the oven to 200°C/400°F. Butter a muffin pan with twelve 1/3 cup (80ml) capacity muffin cups. Whisk together flour, almond meal, sugar, baking powder, salt, and cinnamon in a large bowl. Whisk together milk, butter, egg and vanilla extract in a small bowl, then stir into dry ingredients just until combined – do not overmix; batter should be lumpy. Put 1 ½ tablespoons of batter into each muffin cup. Top each with 1 teaspoon dulce de leche. Divide remaining batter among cups. Bake until risen and golden and muffins pull away from edges of cups, about 15 minutes. Cool in pan on a rack 5 to 10 minutes, then turn out onto a rack. Dust with confectioners’ sugar before serving. 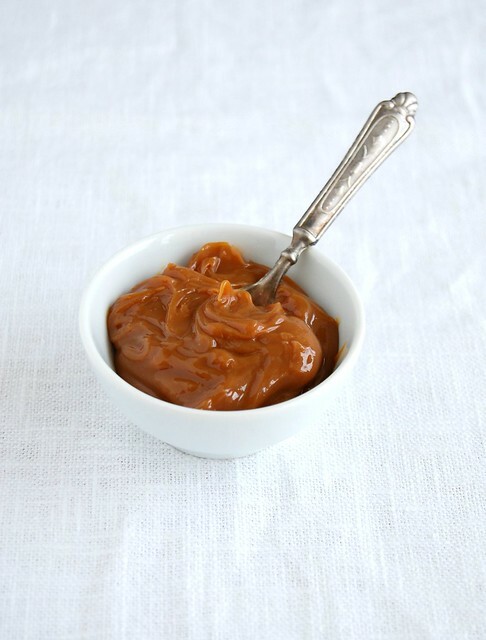 love how you have used the dulce de leche here! Those look so wonderful! And that second photo is simple and phenomenal. These look fantastic! Great flavors - I don't think I would have thought to combine almonds and dulce de leche, but sounds amazing! These muffins combine two of my favourite ingredients - they sound gorgeous! 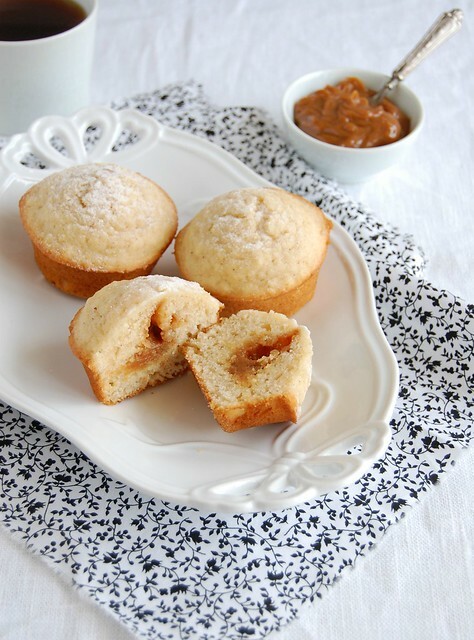 These muffins sound delectable - I love anything with dulce de leche! yummi yummi, I loves muffings and so dulce de leche, Yours looks fantastic and delicious, I am copying your recipe. a big hug for you all the way from Costa Rica.